With Manchester City looking like having their name on the Premier League trophy already, we must turn our attentions to competitions that are still within our grasp. United also lost to Championship team, Bristol City in the League Cup quarter finals to put a sort of pressure on Jose Mourinho, who won two trophies in his first campaign as United manager. The former Chelsea handler is obsessed with winning trophies, and now is the time to channel that hunger in the business end of this campaign. We take on Sevilla in the Round of 16 later this month in the Champions League, hoping to reach the latter stages of a competition we have not won in 10 years. Back in 2008, United defeated Premier League rivals, Chelsea on penalties in Moscow, but that familiar feeling of winning Europe’s holy grail has been far removed from our hearts. 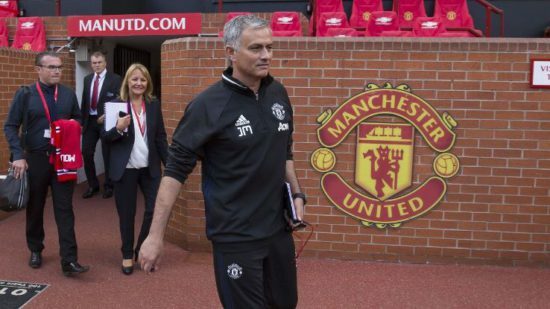 It will be hard, but with the experience of Mourinho, the players we have and our reputation, we know that we can stand toe-to-toe with any team in European football. While Mourinho’s recent record in the competition doesn’t make for pleasant reading, winning the Champions League will put him back as the top dog when it comes to management. The FA Cup represents a more realistic option if we are to win silverware this term, though we have only one triumph in the last 14 years. Mourinho has also won the competition just once in his career, but will have to lead the team over the line. After winning two titles last term, there were expectations United will compete for the league this season, but at this stage, we find ourselves 13 points behind City at the top of the table. Mourinho will be desperate to add more medals to his bulging trophy cabinet, but United must take each game as a final, as only that can guarantee us smiling at the end of the campaign.